…is probably not the one I am wearing on these pictures. But it looks so stylish, don’t you think? 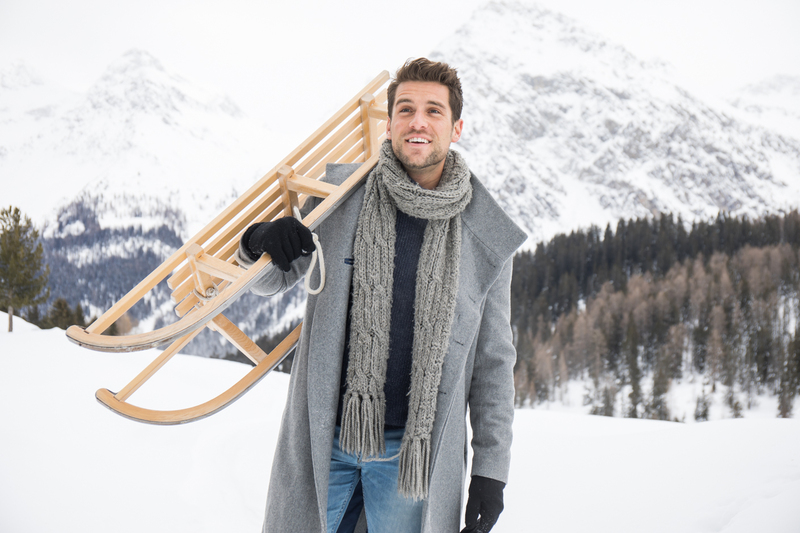 And that was the main purpose for these little photo shoot we did in the mountains in Arosa. 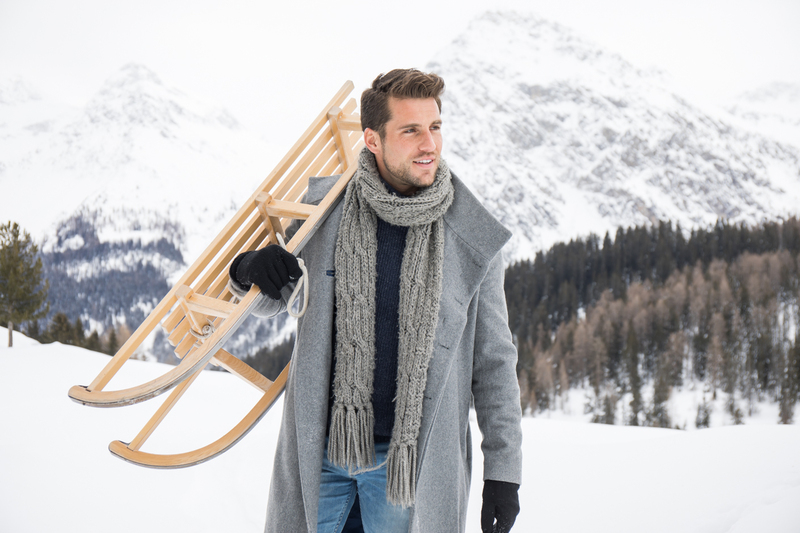 We wanted to combine the snow, the sled and the fun with a rather fashionable winter styling. 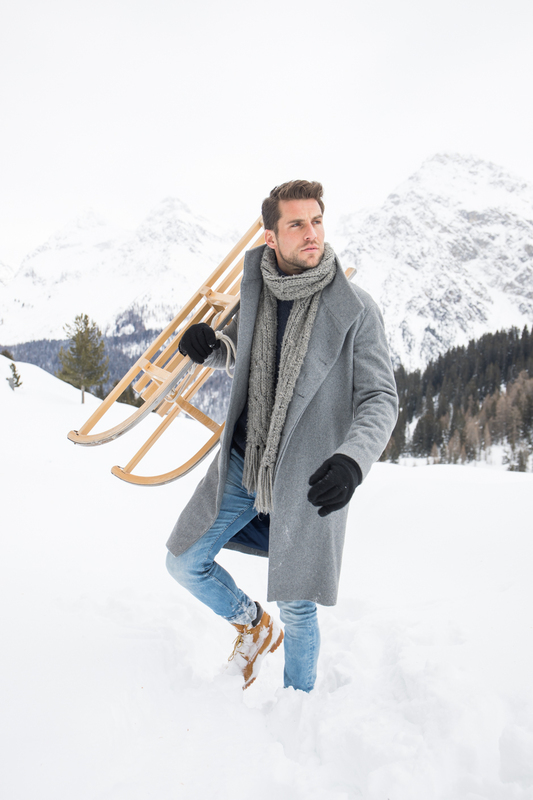 I think with this outfit you are clearly not made for a whole day in the snow, but you are perfectly dressed for any casual and even formal occasion or happening in the winter. Thanks to the layering look you can adapt to the temperature changes whether you are inside or outside. The main piece of this outfit is the grey winter coat, which is a carry-over from last winter, you probably remember. But I just love this over-size cutted coat and it fits just any outfit, I‘d say. Just combine it with a light blue jeans and a dark blue wool turtle neck sweater. If you’re still cold add a matching big scarf and some gloves. And one important thing not to forget about are the shoes. Make sure to wear robust and warm shoes and the ones in the light beige color way, I love the most. 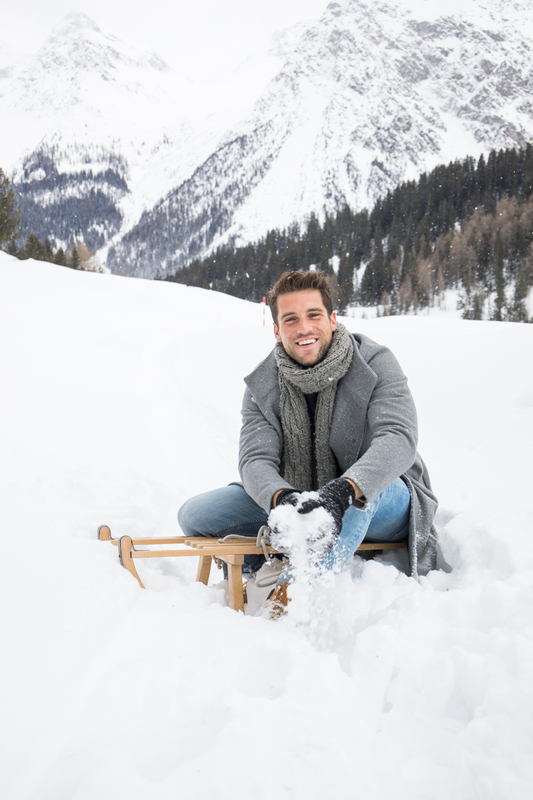 Now, I think you are totally ready for any winter happening and if you want to enjoy a day in the snow to go sledding, than make sure to wear appropriate ski clothing as you would go skiing.